I like to keep myself on the go. I Iike to work on a team and I make a good team member. I identify with precision and professionalism. Being able to get things organized and accomplished just seems to come natural to me. ”Success” is a word that means a lot to me. I like to have clear goals set and to know where I stand on the way toward those goals. I like progress charts, grades and other indications of how I am going. I’m envied by other people for how much I get done. Projecting a successful image is very important to me. Making decisions is not a problem for me. To be successful you sometimes have to compromise your own standards. When I recall my past, I tend to remember what I did well and right rather than what I did poorly or wrong. I hate to be told something I’m doing isn’t working. Generally, I prefer to be involved in the aspect of an operation that will get it moving rather than keep it going. I would do well in the advertising aspect of a project. I can get so identified with my work or role that I forget who I am. I believe that appearances are important. I feel I need many achievements before other people will notice me. I tend to be an assertive go-getter kind of person. 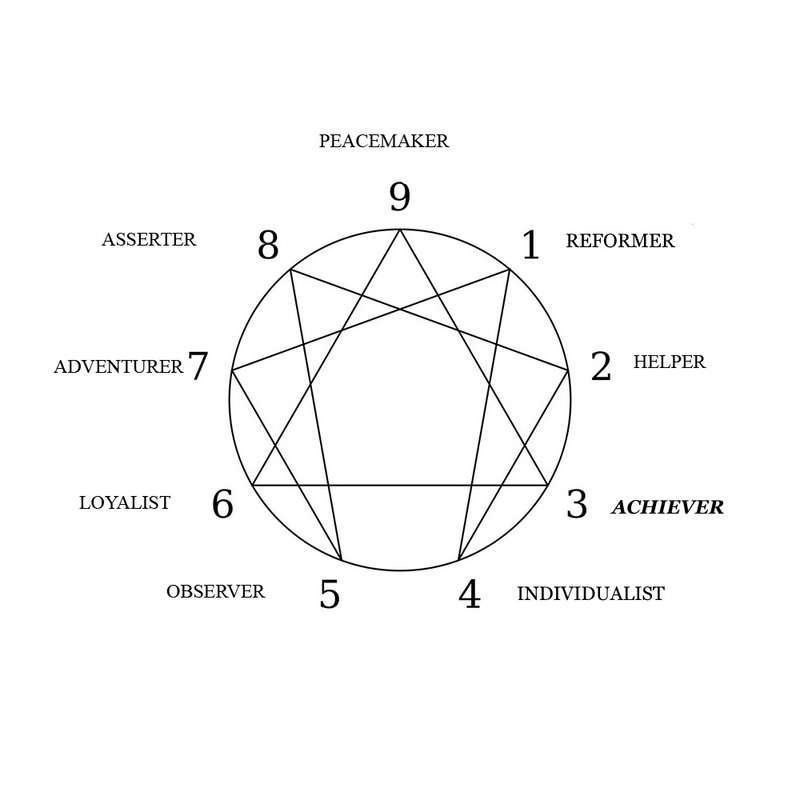 First impressions count ( Beesing et al, The Enneagram, 26-27). 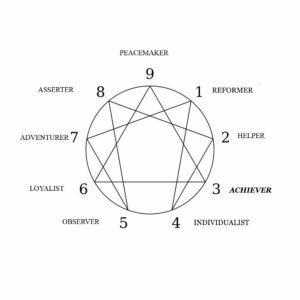 If you found yourself agreeing with many or most of these statements, then you might consider that the THREE type is your preferred position, especially if you identified with the descriptor on the previous page. If this is so, then click here to proceed. Otherwise, click here to visit the next type. Or click here to return to the summary page.